It has been quite a year indeed. A new presidential administration has been tearing down the policies of the previous one at a rapid clip. Natural disasters, from hurricanes to wildfires, have displaced thousands of citizens and further highlighted the risks climate change could exact on the planet. Yet there is plenty of positive news, even if these bright spots come from a dark place. As we have watched the past couple months, equality in the workplace is moving closer to reality as many high-profile executives, politicians and celebs have lost their jobs and the power that came with them due to past misconduct. Meanwhile, as the White House’s current occupants are reversing course on environmental and social policies, companies are picking up the slack. Based on how our readers responded to our coverage, here are our picks for the top sustainability and corporate social responsibility stories of 2017. President Trump has made reviving the coal industry one of his top priorities, but market forces continue to hasten coal’s decline. Many projections assume solar will displace coal as a top electricity producer within a few years, and one of the world’s largest investment firms succinctly predicted this fossil fuel’s future: “coal is dead.” Of course, that is not stopping the U.S. coal industry from trying to find new markets overseas. Yet, in one of our most-read stories this year, 3p’s Tina Casey explains that in addition to more coal-fired plants closing and the bankruptcy of another major coal producer, coal miners are confronting another problem: the Trump White House keeps trying to gut federal regulations that seek to ensure their safety. Plant protein has become even more mainstream with consumers, as ingredients including pea flour, beet juice, coconut oil and hemp are churned into meat alternatives. And investors are seeing potential; at least $250 million dollars flowed into these companies by the end of this summer. Meanwhile, even large meat producing countries such as Canada are suggesting that their citizens consider more plant-based protein options in their daily diet. Never mind the political headwinds coming out of Washington, D.C.: companies are charging ahead with their sustainability agendas, even if the murkey reality for now is business as unusual. 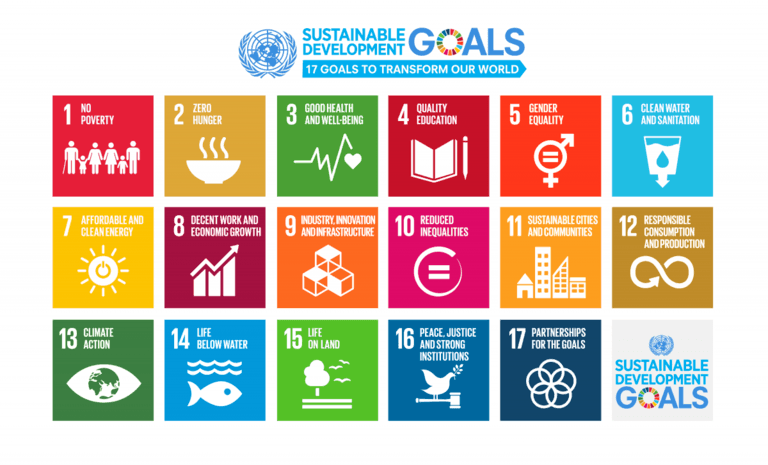 More of the world’s largest corporations are supporting the United Nations’ Sustainable Development Goals (SDGs), and they are approaching them not as philanthropy, but as a fundamental business strategy. At least 1,400 companies now put an internal price on carbon, and are doing so to manage long-term risks as well as identify new market opportunities. The results have not been just mere talk, but often action. Salesforce, for example, recently announced it achieved its net-zero carbon goals 33 years early. Watch for more bold plans, such as Mars Inc.’s September announcement that it will eventually invest $1 billion in climate change and sustainable supply chain strategies. Plastics continue to flow into our oceans unabated, and more organizations realize that current efforts are akin to taking a pen knife into a gun fight. Much of this fight, however, will still depend on consumer education. That’s why many of the most popular U.S. aquariums are banding together to fight plastic pollution. And as more studies have suggested that a certain grade of plastics previously believed to be harmless as it degrades actually is not, over 150 companies and organizations have called for banning them in another move to protect the seas. This increasing focus on finding ways to replace or eliminate conventional plastic is one reason why so many readers were inspired by the fact that this automaker has used half a trillion soybeans in its decade-long quest to displace foam derived from petroleum. Do not count out hydrogen vehicles, as our Tina Casey has repeatedly reminded readers over the course of this year. One startup’s hydrogen-fueled long-haul truck has a chance at leaving the Tesla Semi far behind in the dust. General Motors’ $2.5 billion hydrogen fuel cell gambit could pay off, especially if the U.S. military becomes a customer. More automakers, however, have promised to become more aggressive in electric vehicles (EVs) research and development. Volvo, for example, announced this summer that it will roll out five new all-electric vehicles by the end of this decade.